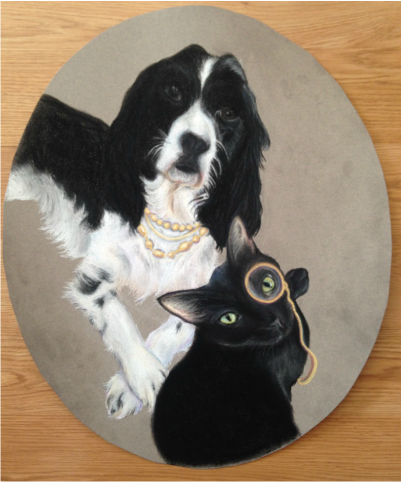 Jasmine's pet portraits are a meaningful ode to the furry love shared in a person's life. 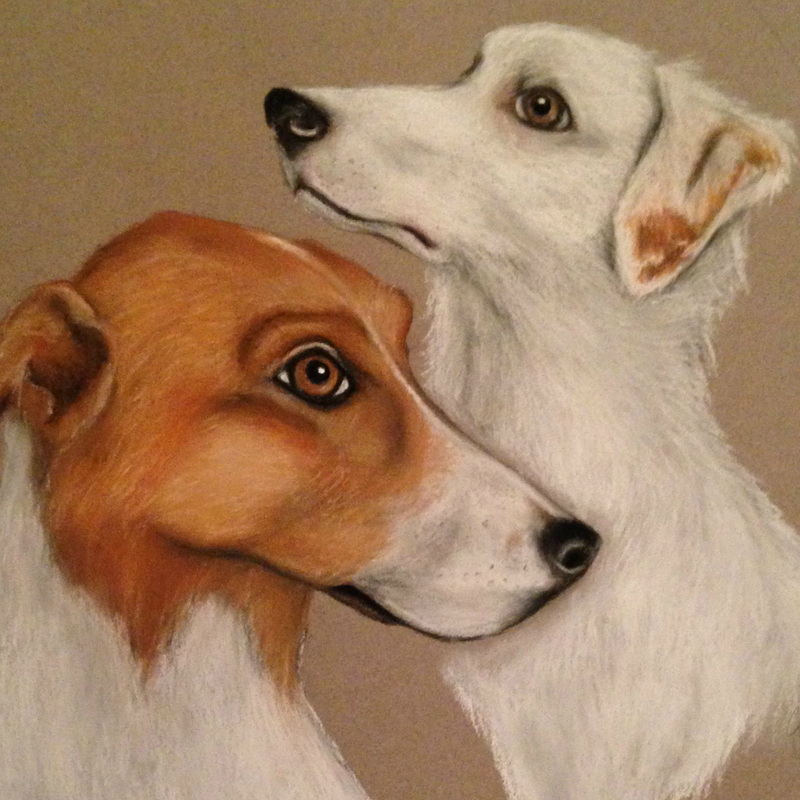 Each piece is drawn or painted in professional quality pastels or acrylic paint. 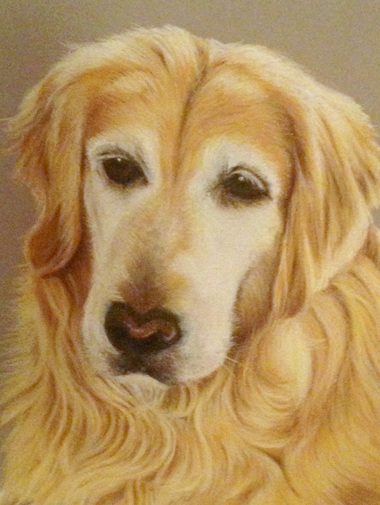 When I first set eyes on the portrait of my best friend Dusty that my girlfriend had commissioned for me as a gift, I was absolutely amazed by the detail and accuracy of the portrayal of my furry friend. Not only does it show all of his physical detail to an amazing degree of accuracy, but Jasmine was also able to capture his kind, loving and thoughtful eyes that makes you feel like you are staring into his own. We now showcase this piece in our living room and discuss it with our guests who are also always amazed at this portrayal of Dusty. I love this gift and am extremely appreciative to my girlfriend for thoughtfully commissioning it for me and to Jasmine for the amazing work and care she put into this piece. - J. C.